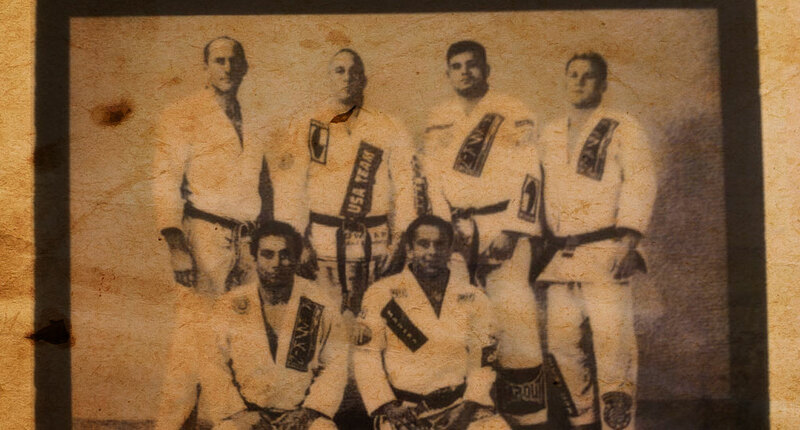 The “Jiu Jitsu Dirty Dozen” is a name often used to describe the pioneers of the Brazilian grappling style outside its country of origin. 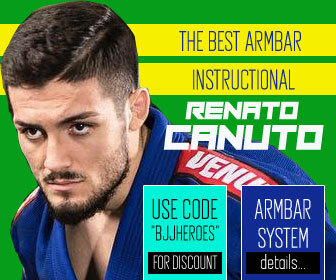 There has been plenty of speculation regarding the famous first 12 grapplers to reach the rank of black belt. With speculation there is also some misinformation. It was the latter that led us to put this article together. 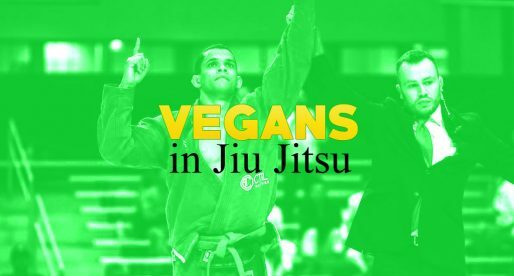 The names put forward in this article have been compiled through research as well as by contacting the students and the coaches (BJJ pilgrims) involved in raising awareness to jiu jitsu outside Brazil in the early and mid 1990s. If you wish to see the female version of the Dirty Dozen, please follow this link. NOTE: We often receive emails and messages debating the pioneers published here. These were posted here through research as one may attest by the sources we’ve disclosed here. If you have reason to believe any of it to be mistaken, you will need to present facts or sources which we can investigate independently. Otherwise, your messages/emails/comments will remain unanswered. 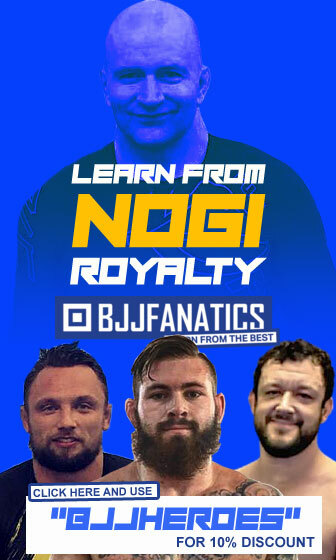 E.N: On 2010 BJJ Heroes interviewed John Will, then setting the date of his promotion somewhere in 1998. For that reason, and since both Rick Minter and Chris Saunders had earned their black belt in the second semester of 97, we disregarded Will from the “race”. Since launching this piece Rigan Machado has stepped forward and mentioned that the 1998 date had been incorrect as in fact John Will had earned his rank a couple of months before Minter, around August 1997, making him the #12 of the Dirty Dozen. John Will is a pioneer for jiu jitsu in the Australasian continent, having produced several talented grapplers and mixed martial arts (MMA) fighters such as George Sotiropoulos, Elvis Sinosic and Anthony Perosh. John B. Will has a wealth of knowledge in a variety of MA’s, from taekwondo to silat, having also been the founder and editor of “Blitz”, an important magazine fully dedicated to martial arts during the 1980’s. All three Americans were graded on the same December day by Rigan Machado, in a ceremony where Brazilians Renato Magno and Fernando Vasconcelos were also promoted to black belt. DAVID MEYER arrived at the Machado school already a black belt in traditional jiu jitsu, quickly adapting and becoming a strong competitor in the BJJ scene, reaching an honorable 3rd place at the World Jiu Jitsu Championship, adult black belt open weight division (1998). Meyer is believed to be still active as a senior (Master 3) competitor, having conquered a Pan American title (2011) and a Master & Senior World silver medal (2012) in the division. CHRIS HAUETER was also an avid competitor in the 90’s and throughout the 2000’s, having also established the prestigious Combat Base Academy, while being revered by many as the father of the jiu jitsu gauntlet. In the last few years, Haueter became known by the mainstream audience of the sport for his work as a referee for the popular grappling promotion Metamoris. RICK WILLIAMS was another “monster” forged inside the Machado Academy in the mid 90’s. A former wrestler, Rick won the Pan American Jiu Jitsu Championship in 1996 (adult brown belt), going on to work with his fellow Rigan Machado black belt Bob Bass, at the South Bay Academy for many years. One of the best grapplers of his generation, Bob Bass did the unthinkable at the 1995 Pan American Championship (the 1st official Brazilian Jiu Jitsu Pan Am tournament), defeating the jiu jitsu prodigy Márcio Feitosa of Gracie Barra at the brown belt division. Bass had many great results as a competitor, later founding the South Bay Jiu Jitsu Academy. The first three Americans to be promoted to black belt by Joe Moreira were Marc Baquerizo, James Boran and Rick Lucero. All of whom (we are told) are still involved with jiu jitsu to this day. JAMES BORAN is a well respected member of the grappling community, with an athletic background as a football linebacker in the Ivy League for Columbia University, who signed with the New York Jets in 1979. Boran is also a black belt in taekwondo and trained with the Gracie family in Torrance before joining Moreira’s school. In 2006 Boran won double gold at the Pan American Championship in the senior division. MARC BAQUERIZO Not much is known of Baquerizo, just that he has achieved the rank also in judo and hapkido. RICK LUCERO is another jiu jitsu pioneer to come from a wrestling background. Not much is known from Lucero, though he is still active as a coach in California. Gabrielson is often mentioned as the 2nd man to achieve the rank of black belt as early as 1992, and according to the historical pictures on Robert Leruyet’s website (here), Gabrielson seems to be wearing a black belt in 1993. 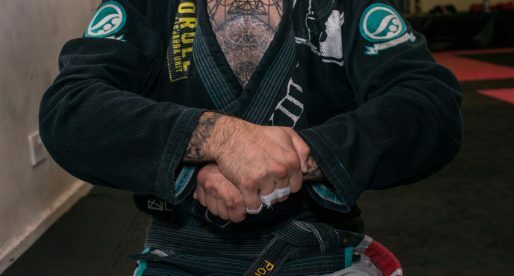 Be that as it may, when researching for this piece we got a hold of his former instructor – Reylson Gracie, who guaranteed Ken’s promotion had occurred in 1995 (though he could not ascertain which month). Reylson did move to the US in 1991, so considering the time frame necessary to reach the black belt level, it would be hard think of anytime earlier than 95. John Lewis arrived in jiu jitsu already as a black belt in judo under the legendary Gene LeBell. Rickson Gracie was his first coach, awarding Lewis his blue belt. Lewis left the Gracie and spent some time with the Machado brothers before settling at André Pederneiras’ Nova Uniao. Lewis is also one of the very rare cases of athletes who went from blue to black belt in one single promotion. He was also the founder of the world famous J-Sect and helped promote jiu jitsu for many years, both as a cage fighter and as a coach to legends such as Chuck Liddell, Randy Couture, Egan Inoue, Enson Inoue, Ricco Rodriguez, BJ Penn, Marc Laimon, Gazzy Parman Robert Drysdale and many others. Dave Kama started training jiu jitsu in the 1980s, becoming the first American to receive a black belt under Rickson Gracie. Kama ran one of his Master’s affiliate academies for many years before opening his own endeavour: “Kama Jiu Jitsu”, which is still going strong in California (Laguna Niguel and Tustin) as well as Texas (Dallas). EDITOR’s NOTE: Regarding #4, 3 and 2, we could not get accurate dates for when the promotion ceremony of each athlete occurred. As such we cannot guarantee the chronological display to be 100% accurate in between each other. A historic figure for jiu jitsu in America’s East Coast, Craig Kukuk was the first instructor to open an academy in New Jersey (Red Bank). Although his grappling ability is highly praised by many who had a chance to meet Kukuk, he has maintained a low profile in the community throughout his career. It is unclear exactly when Craig Kukuk received his black belt from Royler Gracie (while training at Gracie Humaita in Rio de Janeiro), but it is believed the promotion occurred somewhere between 1991 and 1992, according to Steve Maxwell who attended the ceremony. Do your research, John Will was graded in 1997. We spoke to John Will in 2010 and he mentioned receiving it somewhere in 1998. If you have a different date, please present evidence, 1997 when? I just spoke to Rick Minter and he stated that he received his black belt in 1996 prior to Haueter, Williams, Meyers and Wil. This is not what Master Rigan said. If he has some sort of proof of this, we would be happy to make the appropriate change. You guys are missing Dartanian Bagby, who received his black belt in 1997. Ken Gabrielson was promoted in 1993 just prior to the seminar in Canada. It has been a long time and I think Professor Reylson might of mistaken the dates. I started training with Ken in 95 and he had been a Black for 2 years. I’ll contact Ken and see if he will post his certificate. I saw there was a link to my web site in regards to some historical photos on leruyetjiu-jitsu.com. just thought id clarify some of the information stated about ken Gabrielson and Craig Kukuk. Firstly, i had a chance to train briefly with Craig Kukuk when he was at the Torrance Academy. He had been promoted to Black Belt by Rorion Gracie or the grading board at that original academy so this might mean Rolyer. I thought this was common knowlegde. I made my first trip to train there in 1992/93 .In my 93 trip Craig was a black belt and staff instructor at the Torrance Academy run by Rorion. At that time they where in the process of sending Caig to the East coast to open the first permanent Gracie Academy on the east coast. I saw all the boxes of flyers and is not a matter of speculation since I was right there and it was being well promoted. Not long after, when i recieved a copy of the Torrance Gracie Jiu-jitsu news letter, since i was back home in Canada. Rorion stated in that 1993 news letter that Craig Kukuk had been "decertified" because he had not kept the standards or something. I personally found this odd because Craig had been a great guy and a very good instructor and i felt he was more fourth coming with the material and not trying to slow people's progress. which really did seem to be the standard at that academy at that time. So it sounded like some kind of petty politics to me and this is one of the reasons that i switched to the Reylson Acdemy. Anyhow, i still believe i have a copy of that news letter and it will eventualy be put up on my wen site "history" section (Q & A, about us). Hence Craig Kukuk was definitely a Black Belt from the Torrance Academy by 1992. again this is not speculation i was there, and told by every one there that he was the first American Black belt. As for Ken Gabrielson, he was defiantly a black belt in 1993 when he came to Canada with Reylson Gracie for the inaugural BJJ event in Canada. 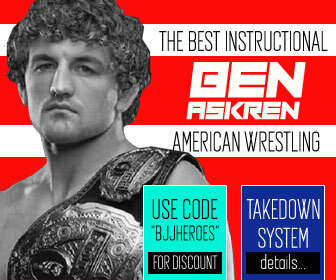 If you read my web site more carefully you will see that Ken did not start his BJJ training with Reylson so it is irrelevant when Reylson came to the USA. Ken had started at the Torrance Academy like most of us early practitioners because it was the most well known and people thought it was the only one. there are more picturs on the site with ken and Reylson together and Ken is a black belt. also if you look at the magazine that i also have the cover on my site, you can not tell by the cover photo but if you see the inside article where Reylson is demonstrating techniques it is Ken who is taking the falls and is again whereing a black belt . this magazine was dated "July 1993" but actualy came out some months earlier (but still 1993) as was the custom with a lot of MA magazines. Let me correct one thing. The magazine I made referenced to is "Secrets of the masters". This magazine was dated "Sept 1993" not July. I got the seminar month and the magazine month mixed up. However, it actually came out some months before (I think martial arts magazines did this to stay on the shelves longer). I remember this because Reylson brought copies with him to the Canadian seminar as promotional materials. The one shown on my web site can be seen to have been autographed by Reylson for that purpose. This magazine, is the best objective evidence because Ken and Reylson are on the cover . Reylson was very happy to present Ken Gabrielson as his Black Belt assistant instructor in this very public way because of Ken's high level of skill and professionalism. 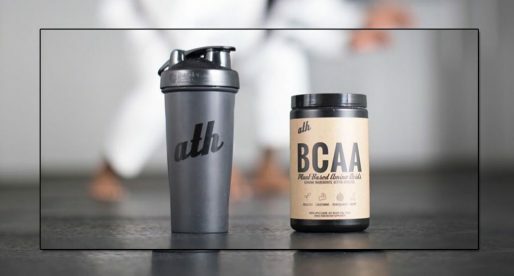 John Will himself told you when he received his black belt and then his instructor corrected HIM resulting in him being included in this historic list? Incredible. There is no such continent as “Australasia”. Australasia is a geographical region.